Just breathe. Deep breathing helps get your blood pumping (and gives you an oxygen boost), along with helping you feel more at ease. It’s also really easy to take 10 deep breaths anywhere—from subway to the shopping center. I usually do this in the evening while watching television. Get those fluids. Not getting enough liquids means that your body is working harder (and using up more energy). 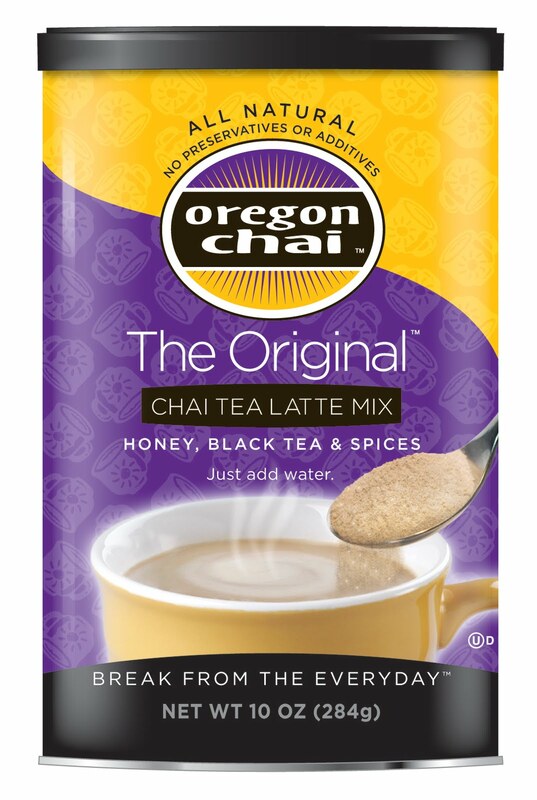 Staying hydrated doesn’t mean you’re stuck drinking just water—in fact naturally caffeinated drinks like Oregon Chai will give you an extra jolt of energy to keep you going. This is challenging for many of us. I found that if I carry around a water bottle with me all day it helps me to make sure I get the required amount of fluids. Take a hike. (Or a walk, or a bike ride, or even just do a couple jumping jacks.) While it may seem counter intuitive, upping your activity level will up your energy too! I try to go for a walk at least four times a week. If the weather is too hot in your area or too cold try some mall walking. If you are having a difficult time falling asleep at night it might be due to stress. Sometimes moms get so busy that we don’t find time for ourselves. This causes stress on our bodies which can lead to insomnia, depression, and even heart disease. Make sure you schedule “me time,” so you can re-energize. *Disclosure: I received a mug, mug warmer and 10 oz canister of Oregon Chai Tea Latte Mix from Oregon Chai in exchange for this article. Summer is Over and I am Back to Blogging! LOVE those kind of drinks! YUM! Well, Good to know about the drink you mentioned and definitely wonder how yummy it would be? But you said it is caffeinated one na, I doubt it induces sleep when its known that caffeine can disturb your sleep. So what's it? Does it help out to sleep?